Local responses to Sunday night's mass shooting in Las Vegas echoed those heard across a nation grappling with tragedy. Tennessee Gov. Bill Haslam was one of many state officials extending prayers and consolation to victims of the attack, some of whom are from the state he represents. "I am praying for the many people affected by the senseless act of violence in Las Vegas. In particular, Crissy and I extend our condolences and prayers to the family of Sonny Melton from West Tennessee who was among those killed in this tragedy," he wrote. Melton, a registered nurse from West Tennessee, was gunned down while trying to shelter his wife from the gunfire. "We know other Tennesseans were in attendance or performing at the event, and my thoughts go out to them as we grieve and process the enormity of this attack," Haslam added. "Tennessee stands with Las Vegas during this difficult time." David Purkey, commissioner of the Tennessee Department of Safety and Homeland Security, also offered his condolences, saying the shooter executed a "calculated and terrifying plan." "It is very hard for us to understand why a person would want to cause such tragedy. 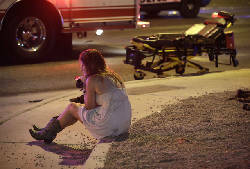 We must prepare ourselves for these types of events that are becoming more common," Purkey wrote. "I want to remind our citizens that if you see or hear of something that does not look or feel normal and seems suspicious, report the information to your local law enforcement. "Our department offers free active shooter training for groups in hopes of educating people on what to do if you are involved in an active shooter situation. I encourage our citizens to take advantage of the training and prepare for the unfortunate." Musicians who performed at the concert took to social media Monday to express their grief. Rossville native Lauren Alaina, who performed at the festival the day before the attack, tweeted her support for the victims. "I won't be sleeping tonight. Instead I am going to pray and pray and pray for the people in Vegas," she wrote. "Praying for everyone at Route 91. That crowd was one of the best I've played for all year. This news is devastating. My camp is home & safe." Chattanooga native Kane Brown and his band played on the stage Sunday evening and then hopped on their tour bus headed for Los Angeles just 15 minutes before the shooting began. "He and his team are all safe," a media representative for Brown wrote in a Monday night email. Around 1:30 a.m. Monday, Brown tweeted "The world is sick." Later in the day, he tweeted a photo from the stage and called for "Prayers to Vegas." Chattanoogan Jonathan Carlton was at the festival with his wife, Lesley McBryar, when shots rang out. He said they were celebrating her birthday, and decided to stay a bit later to enjoy the performances. "We heard some popping, but it was real erratic," he said. "Then we heard it again and it sounded like it was right behind us on the street. Nobody knew it was coming from up above." Carlton said they thought the shooting had lasted about 30 minutes. He and his wife took cover under some bleachers, toward which more people began to run. He said they saw several people lying on the ground, and a woman was brought under the bleachers, "but she wasn't moving." The couple managed to get back to their hotel later that night, and flew back to Chattanooga early Monday morning. "We just wanted to get back to our kids," he said. "We're getting home to our kids; that was the goal of getting out and getting home." John Flanigan, another Chattanooga resident, filming from the roof of a hotel Monday morning near the shooting scene, said he didn't hear or see the shots being fired but saw firsthand the aftereffects across the city. "Things seem to be pretty calm this morning here in Las Vegas," he said. "A lot of blue lights as the sun was coming up." Also in Las Vegas were 30 members of the Chattanooga Rugby Club, which was there on tour. Coach Jeff Bollig confirmed Monday everyone in the group was safe. "Luckily, the 30 of us that traveled to that area all [are] safe and accounted for. We will keep the victims and their loved ones in our minds and hearts and follow the story along with you," Bollig wrote in a text. Hamilton County Sheriff Jim Hammond offered prayers and the full support of his office to the victims while praising the actions of Las Vegas emergency responders. "As sheriff of Hamilton County and on behalf of the men and women of the Hamilton County Sheriff's Office, I am saddened by the tragic events that occurred in Las Vegas overnight. It is frightening to believe that someone would use an event such as a concert to inflict such evil and carnage in our country," he wrote. 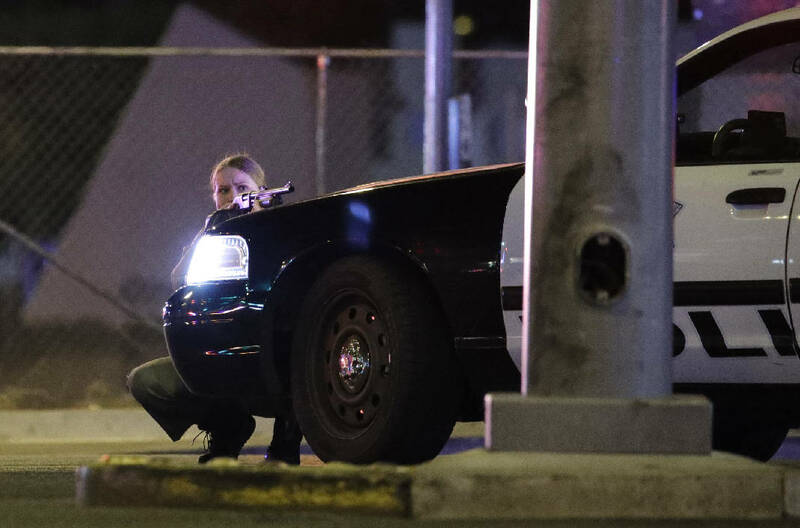 Hammond also praised "our courageous brothers and sisters in the Las Vegas Police Department who ran towards the sound of gunfire with no concern to their personal safety to save innocent lives. This is the true essence of heroism and these men and women should be honored for their willingness to put themselves in harm's way to serve and protect." This story was updated Oct. 2 at 11:59 p.m. with more information.